September 11, 2018 - Dubai, UAE: Reaching out to you as today, Facebook announced the launch of Community Help on Facebook Lite in more than 100 countries, including the MENA region, across UAE, Saudi, Egypt, Morocco and others. This platform is aimed at making it easier for people in areas with low connectivity to find and give help such as food, shelter and transportation after a crisis. In many areas around the world, networks can be slow and unreliable. This can be even more challenging after a crisis, when communication is critical. Facebook Lite is designed for people to access Facebook in areas with low connectivity or limited internet, and it is being used by people in more than 100 countries and 55 languages. The software uses less data, installs fast, loads quickly and works on lower-end devices and slower networks. 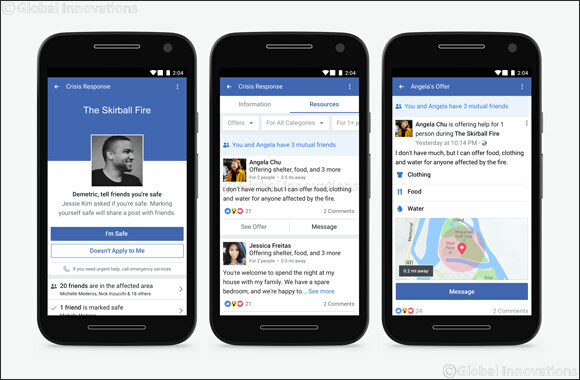 Earlier this year we launched Safety Check on Facebook Lite to provide an easier way for people in areas with low connectivity to let friends and family know they are safe following a crisis.